The gunman who shot 59 people at a Las Vegas country music concert may have been originally planning an attack at another music festival just one week earlier, the Daily Beast reported. According to the paper, a senior law enforcement officer claims Stephen Paddock had rented multiple accommodations overlooking the Life Is Beautiful Festival headlined by Kiwi music sensation Lorde. The source suggested Paddock may have "lost his nerve" or "simply changed his plans" before checking into the Mandalay Bay Hotel just days before he took the lives of 59 people, the Daily Beast reported. 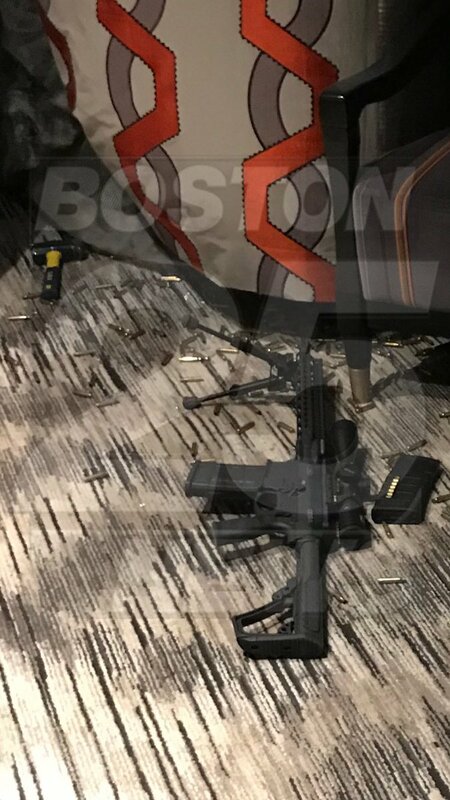 An image from the video showing one of Stephen Paddock's weapons inside his hotel room. When law enforcement entered Paddock's suite on the 32nd floor, they recovered 23 weapons including several automatic rifles, AK-47s and "bump stock" devices to make his guns fully automatic. 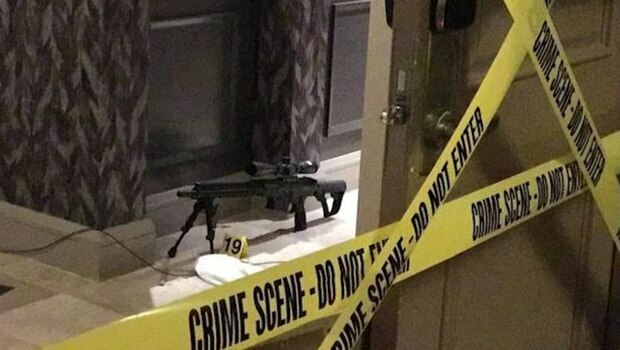 TV station reporter Jacqui Heinrich tweeted the photographs, which also show a hammer that Paddock, 64, presumably used to smash the windows of his suite to set up his sniper's perch. Also in view is the bipod he used to stand one of the rifles as he sprayed the crowd of 22,000 with bullets as they attended the Route 91 Harvest festival. One of the rifles features a fixed scope and the other contains a high-capacity detachable magazine. Two Nevada gun shops have confirmed that they sold firearms to Paddock in the past year and said he passed all required background checks. The Mandalay Bay is understood to have a nominal ban on guns being brought in, however like much of Sin City is thought to operate with a laissez-faire attitude to weapons. Paddock is thought to have brought 10 suitcases into the hotel room he had been staying in since Thursday, with no questions asked by housekeepers who serviced the room.